Leaving burning man is bittersweet. It’s been a couple months now, and I still find myself looking through Burning Man photos and watching any Burning Man video I can get my hands on. People often say that it’s a life-changing experience. I’d have to agree. At the start of 2012, I embarked on a very long journey. I travelled most of that year to places like Iceland, Greece and Argentina to name a few places. It was quite the memorable experience, but I don’t feel like I’d need to do it again. I’ve done it. Would I go back to certain countries? Sure! 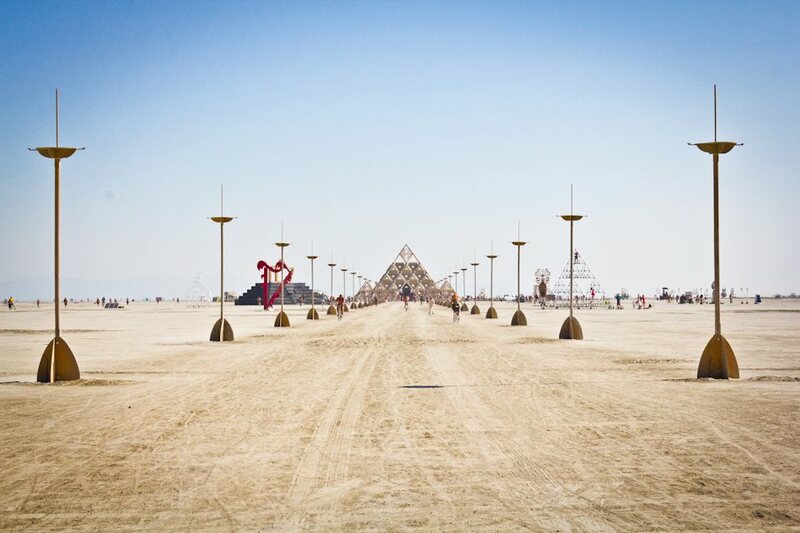 Burning Man is an experience that I now wait with anticipation for. 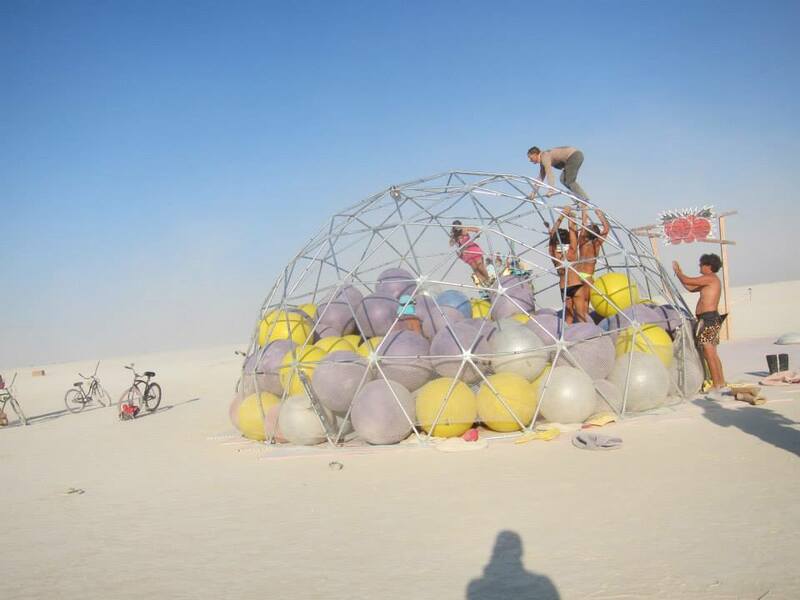 I can’t wait for next year when I get set foot on the playa and spend a week in a community that is unlike anything I’ve ever seen before. It’s a time where people are giving without any expectation. It’s a place where people can freely express themselves however they want. It’s a place where somehow among 61,000 people, there isn’t a lick of trash anywhere. There isn’t police everywhere. People just care about the mission. It’s awesome. Leave no trace. I remember walking into the temple for the first time not knowing what to expect. I saw people dancing around the middle altar. I saw people laying down and relaxing. Many people were writing on the walls and crying. It felt like a place where people are trying to let go of something that has happened in the past. I remember sitting there wondering what I was doing there. I sat there, thinking about my past and if there was anything I want to let go of. There wasn’t. So I sat there, journal in hand and ready to write down any thoughts. Nothing. I looked around at people with emotional baggage. It was touching. It wasn’t till a man brought out his guitar, and starting singing a wonderful song that reminded me of Bob Marley. It was a song about renewal and love. It was beautiful. At this point, I’ll admit I shed a tear. The beauty that is humanity was very strong. It moved me. The whole experience let me feeling like I needed to do more, to love more and to appreciate things more. I decided to create #ThankfulThursdays, a Facebook hashtag in which I’ll dedicate this day of the week to a certain people on Facebook that has influenced my life or inspires me in some way. It’s a way to show my appreciation and re-connect with certain individuals and let them know I’m appreciative of their friendship or appreciative of a moment in time we shared together. 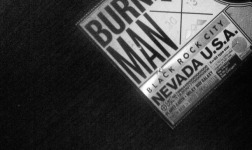 So hopefully I’ve also done my part to spread the word of Burning Man. I’ve also compiled some other Burning Man ‘things’ that I felt needed to be shared. I hope to inspire you to participate next year! People always ask me of my experience at Burning Man. I always try to ask them their thoughts on the subject before I share mine. Most people believe it to be a music festival that is full of bright lights, art sculptures, hippies, drugs and alcohol. Is there that stuff? Sure. But it’s so much more. 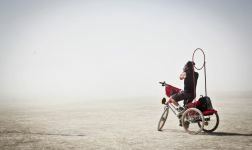 For me, Burning Man is a way to fuel your spontaneous soul. You see something in the distance? You go over and see it. There is a camp with fun activities? You go do it. You meet someone interesting? You say something. If you were shy before, here you are not. You lose a sense of time, day and place. All you know is that you are here, and you’re curious. I constantly found myself biking without a destination. I just kept going wherever I wanted, knowing that I’d turn a corner and find something or someone that would peak my interest. 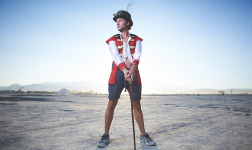 Unlike travel, Burning Man offers something unique each year. I know that if I visit Paris, I can see the Eiffel tower in all it’s glory. It will generally always be the same. I can’t say that will be the case with Burning Man. If you missed out, you’ll never see it in person…ever. It’s amazing! I hope to see you on the Playa! (1) Jacket – It was so warm most of the time, I actually never used a jacket…or a shirt. If you get cold, find a fire or a warm body. (1-3) Shirts – Might be nice to switch up. Keep one shirt clean in a ziplock bag for the drive home. (1-2) Shorts – It’s going to be hot! No need or pants. If you do bring pants, make sure they are light and breathable. (?) Underwear – Bring however many you need to feel clean. I use Exofficio because it breaths well in hot weather and is perfect for traveling light. (2) Socks – Maybe bring some short and some long. Long ones might be nice to keep dust off your feet and part of your legs. (1) Dust mask – This is a must! A bandana works fine or perhaps a shemagh. Anything will do. You can even bring a couple as a gift as some people for some reason don’t have one. (1) Sunglasses – If you don’t want to wear your goggles during the day. (1) Hat – Keep the sun at bay. Don’t bring chocolate. It melts. Alcohol is always good, but there is also plenty of it. You can bring some bottles of vodka as people run out. Beer can also be nice if you want to gift some cans. Necklaces and jewelry is nice to have. (?) Water – VERY important and goes without saying. They say you should bring at least 1 gallon per day. You’ll use it to drink, clean, cook, etc. (?) Fruit – Nice in the warm sun. Watermelon is popular as people will inject vodka into it and let it soak. Oranges and apples also were nice to have. Whatever food you want to eat. Dehydrated meals, soup and ramen always works. Shade structure – This actually really helps and i’d HIGHLY recommend it. Cooler with tons of ice. It’s going to melt. They have ice stations but the wait is always long. Bicycle – A MUST. Also get el wire to ensure your bike can be seen at night. Consider getting a flag on your bike so you can easily identify it from the crowd at a distance. A basket on the front is also a nice to have. Contact cards – I wish I exchanged contact info with more people. Next year I’m thinking of bringing contact cards that have a photo of me (in playa gear), camp name, camp location, facebook, email and phone. It would be nice to have in passing so that you can easily exchange information. Great post Ryan! Can’t wait to join you at Playa in 2014!